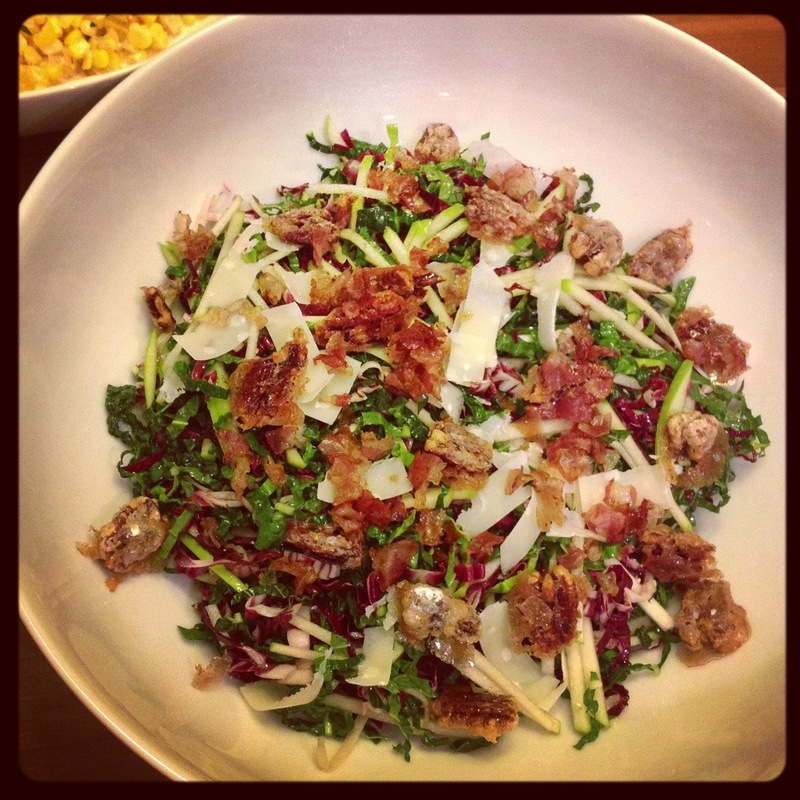 To complete the Thanksgiving menu for two, I made a Kale and Apple salad with crunchy pancetta bits and candied pecans. This was such a fun salad to make and really beautiful to look at. You can skip the pancetta and cheese, substitute olive oil for pancetta drippings, and make this a delicious vegan salad as well. 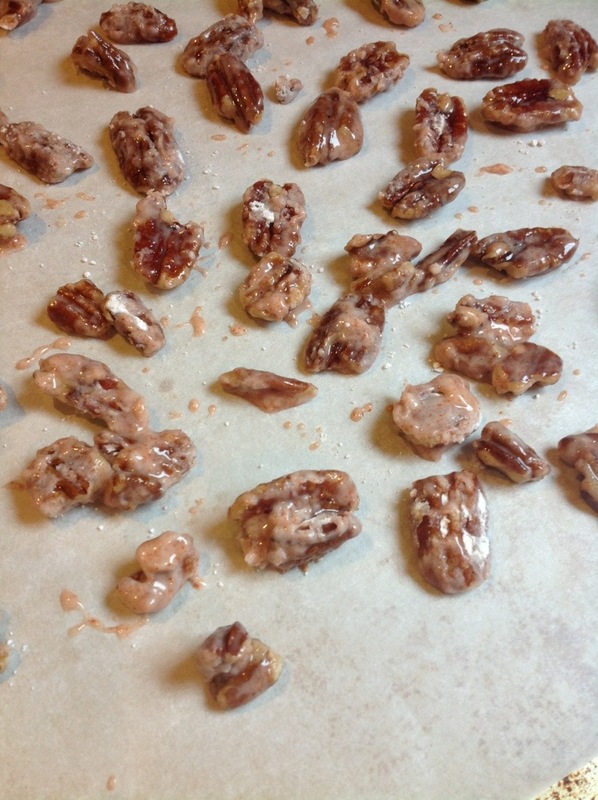 I made the candied pecans earlier in the day and snacked on them while making the rest of the salad. Preheat the oven to 350 degrees. 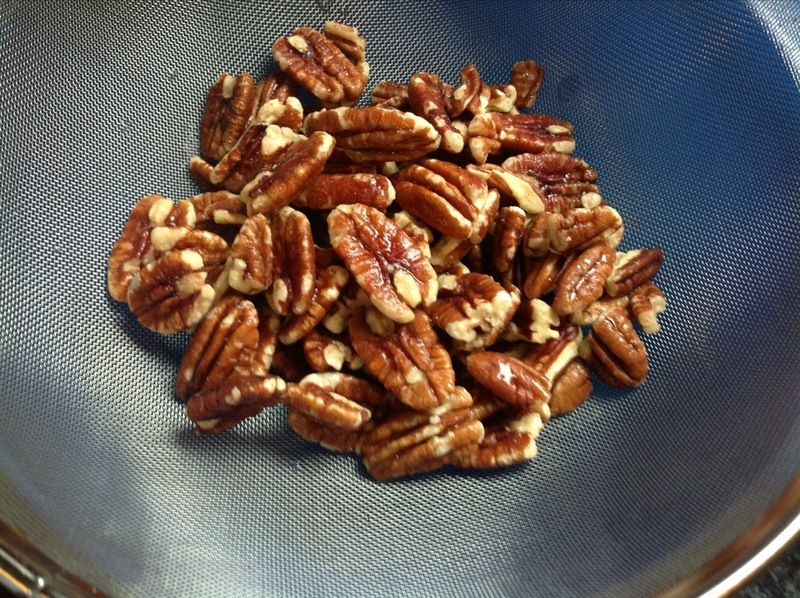 In a bowl, add the pecans with enough water to cover, then pour pecans into a sieve and shake out excess water. 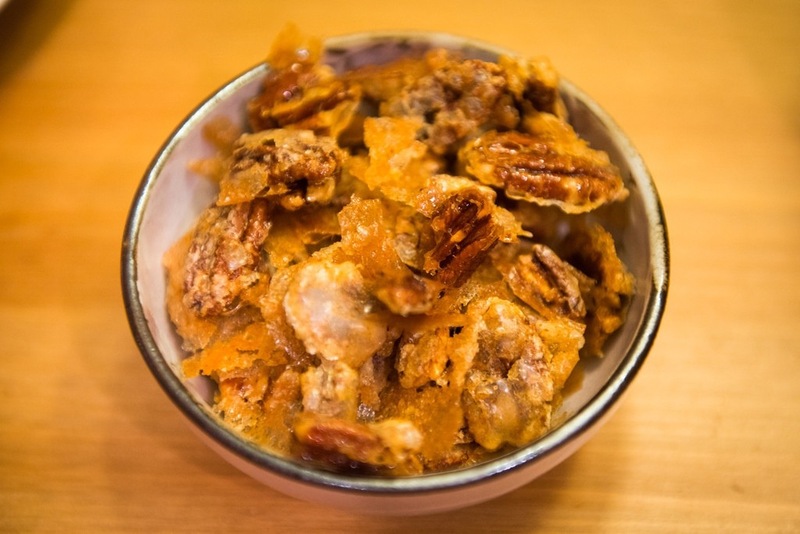 This will let the sugar and spices stick to the pecan. In another bowl, whisk together powdered sugar, cayenne pepper, and salt. 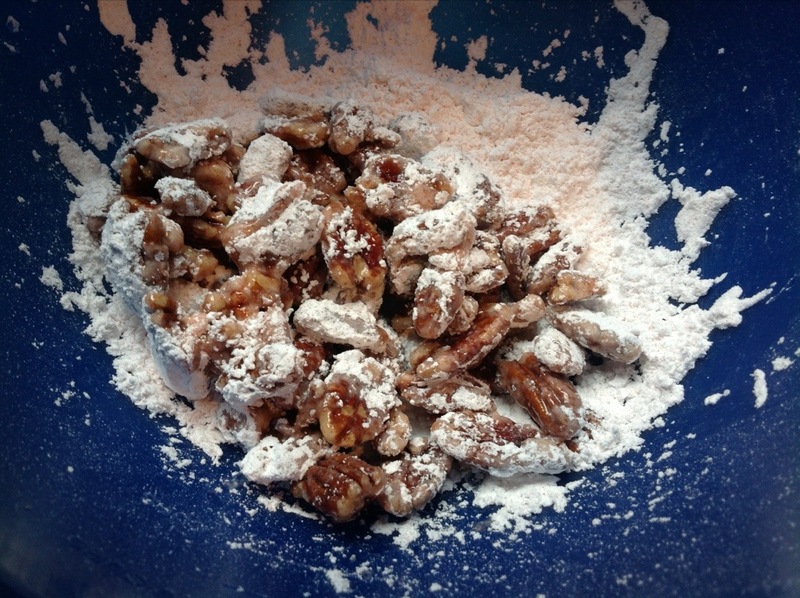 Toss the wet pecans in the sugar mixture. Transfer to sieve and shake off excess sugar coating. Place in one layer on a parchment lined baking sheet and bake for 10 minutes until sugar has caramelized. 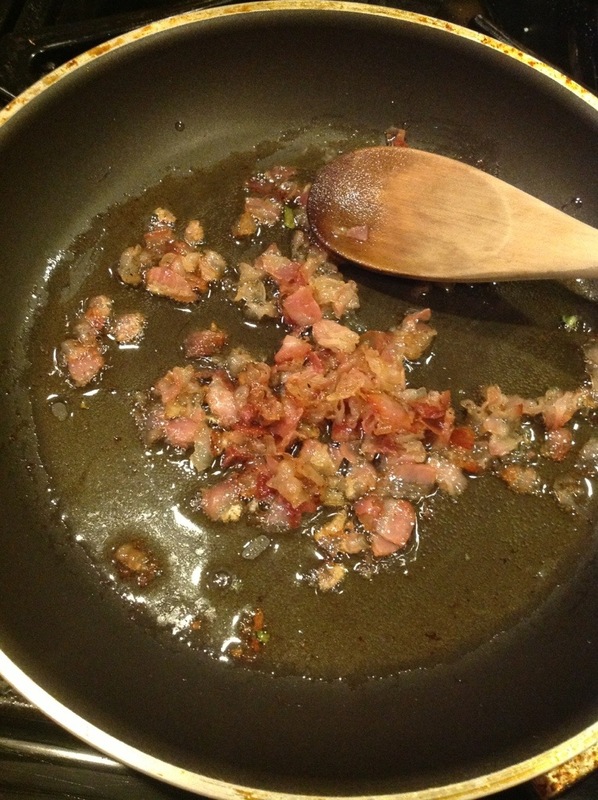 In a small sauce pan, cook the pancetta over medium heat until the fat has rendered out. 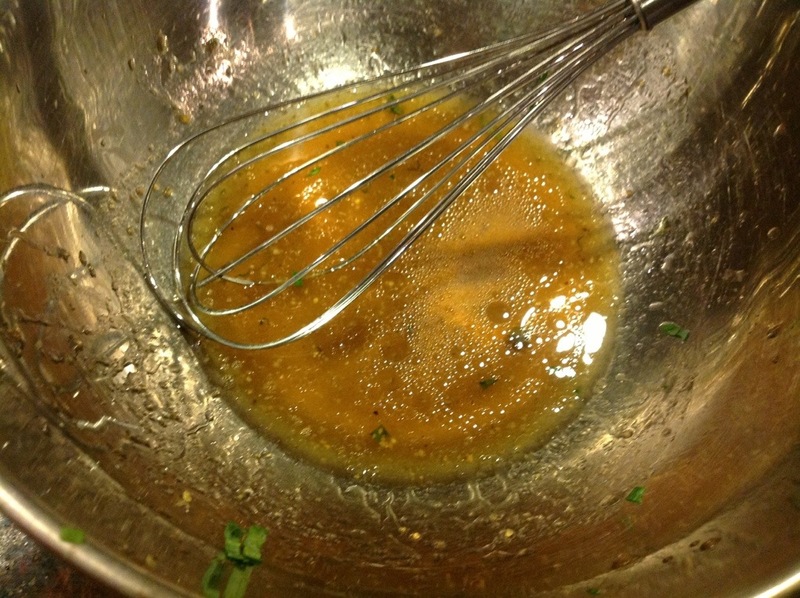 Strain the fat into a large bowl and whisk in vinegar, caper brine and maple syrup, season to taste with salt and pepper. 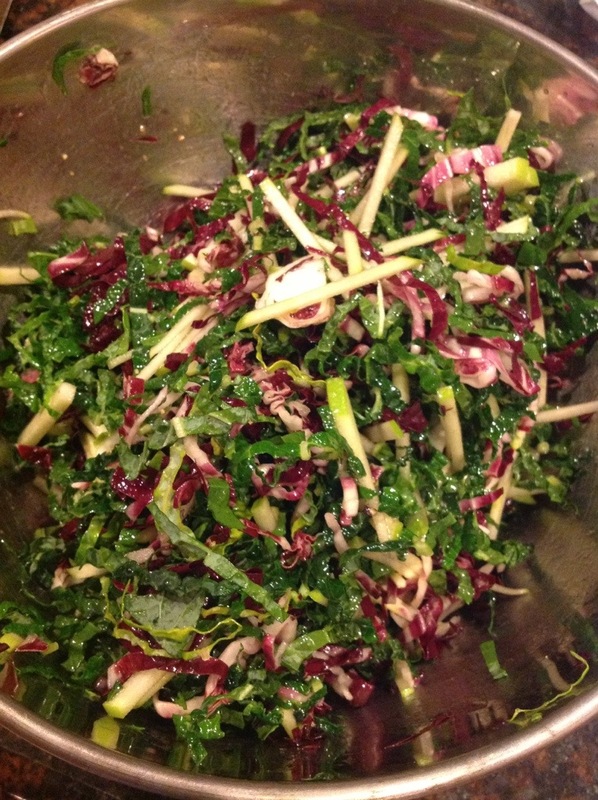 Toss in matchsticks of Granny Smith apple, sliced radicchio, kale, tarragon, and pecorino. 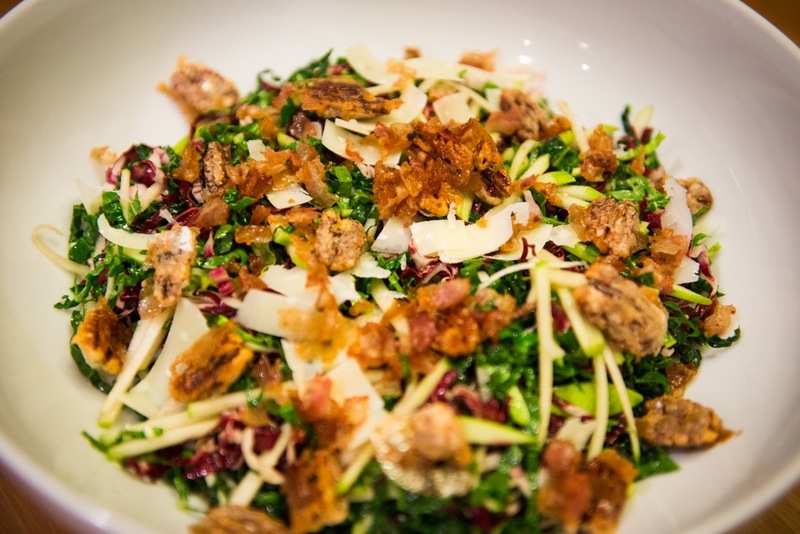 Mound salad into a large serving bowl and sprinkle pancetta and pecans on top. 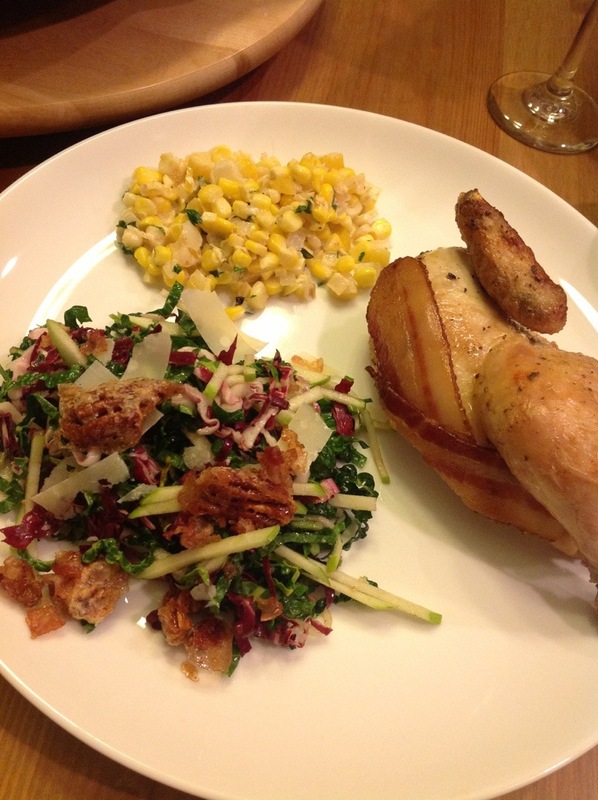 I served the salad with halves of the cornbread stuffed hens and corn maque choux. What a beautiful plate it made!